Give a hand to BioWare's marketing. After weeks of mysterious, creepy teaser trailers like this and this, even a bitter cynic like me was excited to see what the company had to reveal. After all, despite some missteps of late I still harbor some nostalgia for the company that's brought me Baldur's Gate, Knights of the Old Republic, Jade Empire, Mass Effect, and Dragon Age: Origins. We finally got a peek: At EA's Gamescom press conference Wednesday, BioWare unveiled the PC-focused Shadow Realms. 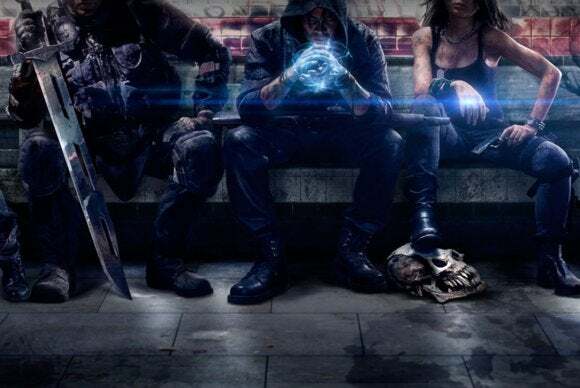 Like Evolve, Shadow Realms will feature four-versus-one multiplayer in an action-RPG type setting (as opposed to Evolve's first-person shooting). Four players will battle against one other, called the "Shadowlord." "Shadow Realms has its genesis in old school Dungeons & Dragons. 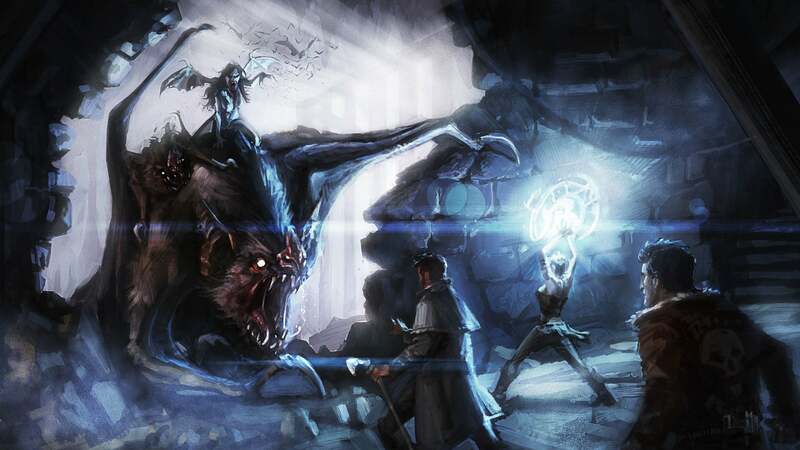 When I first started designing BioWare RPGs back in the 90s, what drove me creatively was the desire to give players the experience I had while playing pen and paper games as a youth," writes James Ohlen on the Shadow Realms website. "The great storytelling, the feeling that anything could happen—these were experiences that you couldn’t find in any other game. And the great thing was that these adventures never had an end. A good Dungeon Master could keep a story going for months or even years." As such, Shadow Realms will release sections of the story over time, episodically. "It is a game that finally fulfills that fantasy of a never-ending RPG where the players meet up regularly to keep their epic adventures going for as long as they want. All the enemies, traps and challenges are squarely in the hands of another player, who controls them just like a Dungeon Master," Ohlen continues. While BioWare made sure to talk up its story hooks and the amount of world-building it has planned—there's already an entire page dedicated to lore—I can't help but worry it's the same sort of lip service Titanfall paid to its "campaign" before we found out said "campaign" was just a bunch of weird radio dramas played over the top of random multiplayer matches. Multiplayer games just aren't very conducive to plot construction, because multiplayer games are a) inherently uncontrolled environments, and b) meant to be replayed an infinite amount of times, so too much story just gets in the way. This is hardly the dark/gritty/surreal modern-day RPG I thought BioWare was working on from those teaser trailers. Is that necessarily bad? No, of course not. In fact, Shadow Realms is arguably more interesting than if BioWare simply announced a new single-player RPG. It's just also, by that nature, a riskier endeavor. You can learn (much) more about the game over at the official Shadow Realms site—there are already dev blogs covering lore, game mechanics, and more. You can also head over and sign up for the alpha, though you'll need an Origin account to do so. Shadow Realms launches in 2015 for PC.